It is July already and in less than three weeks, the much-awaited, much-labored-for grand birthday celebration of my mother-in-law will smack me right in the face. 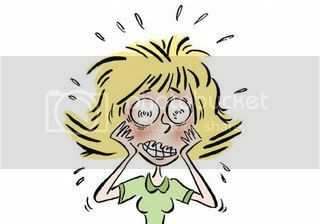 I am so frazzled by all the preparations for I am the dupe coordinating the event. I was not planning to lift a finger to help the in-laws. I was just too tired and not really cart-wheeling happy to help. When one is tired and unhappy, the creative juices will not flow. So, why did I eventually take the responsibility? One of my sis-in-law called and asked to "please, pretty please help us". I finally said okay and now I am just drowning with work. I am actually losing weight (and sleep) without actually taking my dietpills regularly. The "losing weight" part is one perk for all the work I am doing. I guess you are all wondering what kind of party I am coordintating for me to lose weight and sleep. Now. Now. You just have to be patient for I will definitely tell you and show you when the time is right. Meantime, if you're not happy with the extra love handle you see each day as you look at yourself in the mirror, try exercising. If you care to take dietpills to hasten up the slimming process, ask your doctor first if you are taking any medications. Ay naku~! Hinay hinay lang...mahirap na at baka ka magkasakit nyan. I am so Mad it Hurts!